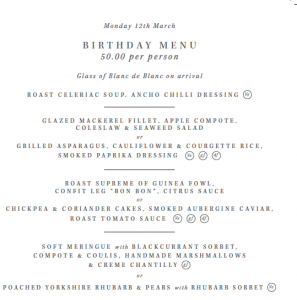 Winchester Brasserie Blanc is having “An Evening with Raymond Blanc” as part of their 10th birthday celebrations. The fun happens on 12th March with a glass of fizz on arrival, a 4-course dinner and tales from Raymond’s life of food, travel and culinary adventure. Call, email or pop in to reserve your table for the evening – we look forward to raising a glass or two with our wonderful guests.